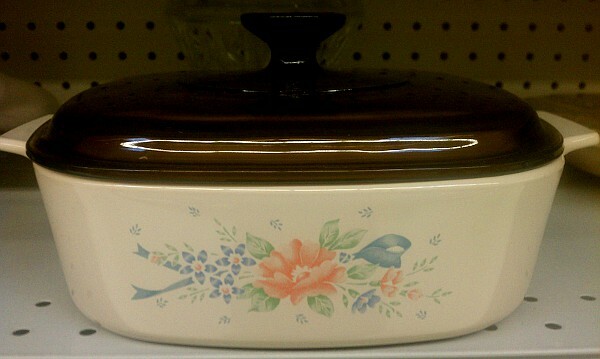 The Symphony pattern, with lid. This pattern, along with Forever Yours, came in the new "Beige" color that was first released in 1990 (as opposed to the all to familiar white), but discontinued in 1993. The lids were Amber Brown, just like those of Visions. This was the same year that French "Black" was released.